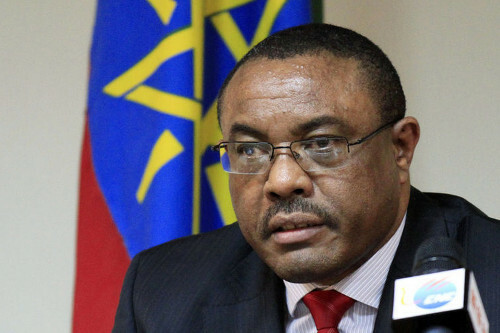 Ethiopia will ‘respond’ to every action by Eritrea to destabilise it, Prime Minister Hailemariam Desalegn told Parliament on Tuesday. The Ethiopian premier defended his country’s conduct and blamed Eritrea for last month’s border skirmish. “What we did was to retaliate and silence [Eritrea],” Mr. Desalegn told Parliament. “We will respond to every action it takes to destabilise Ethiopia. We will intensify this policy of ours… If that shaky government wants to talk to us, our doors are open.” The Ethiopian leader claims Eritrea instigated the confrontation to distract attention away from the UN report on the country’s human rights record. The report is damning of conditions in Eritrea and raises allegations of slavery by conscription, while Eritrean authorities claim the report is “baseless”. The border between Ethiopia and Eritrea was left ill-defined by the War of Independence (1961-1991) and as such laid the groundwork for a new conflict. A new war broke out in 1998, as Eritrea laid claim to the town of Badme, and soon met Ethiopian resistance, the fighting continued until 2000. But the border dispute has yet to be resolved. Ethiopian academic Seyoum Y Tesfay argues in the Conversation that the two countries are unlikely to go to war. He suggests neither country has an appetite for a conflict on the scale of the last war. The Ethiopian army is mobilising in the north of the country near the Eritrean border.